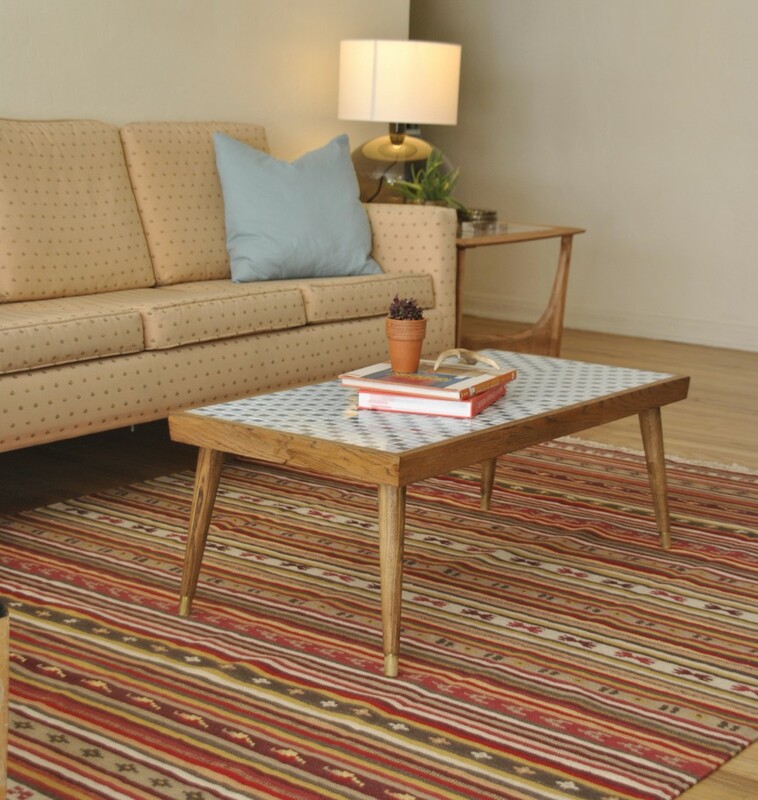 Gorgeous mid century tile and solid wood coffee table. Featuring tapered legs with brass tips and original blue tiles in good condition with wear to just a few (see detailed photo). Clean long lines and unique design are sure to make a beautiful addition to your space.